The UID rollout seems clearly on track to fulfilling its intended goal, of bringing entirely new segments of the population into the mainstream economic system. In September 2010, India's government embarked on a tremendously ambitious project, led by Nandan Nilekani, to issue a biometric-based unique digital identity (UID) to each of its 1.2 billion residents, which would connect hundreds of millions of "excluded" Indians with formal economic institutions. The goal: provide all of the country’s people, and not just the minority of advantaged families, with access to banking, mobile services, healthcare and education while streamlining the country’s massive welfare programs. As of mid-April 2012, the government has issued “Aadhaar” numbers to about 170 million Indians. 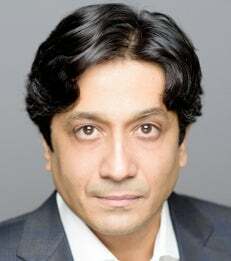 Early survey results from NYU Stern Professor Arun Sundararajan and Professor Ravi Bapna of the University of Minnesota’s Carlson School of Management, with research support from the Indian School of Business, provide clear evidence that the UID is bringing genuinely underprivileged and excluded households into the country’s mainstream economic system for the first time. Sundararajan and Bapna are leading a project to analyze the state of identity in India and to measure the socioeconomic impact of the UID over the decade through a multi-year, nationwide survey conducted by India’s National Council for Applied Economic Research. The first wave of the survey was conducted in 2011, and a second phase is ongoing. Fewer than 30% of Indian households have even one resident with any one form of portable ID; those households with portable ID have substantially higher incomes and likelihood of a college-educated resident than those without. The remaining households are forced to rely on documents like ration cards or the government-funded National Rural Employment Guarantee Act (NREGA) cards, which have limited geographic portability and do not easily facilitate inclusion in the socioeconomic system. For example, the rate of illiteracy is four times higher among those without portable ID. The UID rollout is creating an entirely new segment of “included” residents, those who are attaining portable ID for the first time ever. If enrolments continue according to projections, the professors estimate that this segment will number around 300 million people (25% of the population) by the end of 2012 and continue to grow in 2013. Early UID adopters represent a segment distinct from the 18% of the population that rely on the NREGA program, the government scheme piloted for UID integration. The early adopter profile validates Aadhaar’s potential beyond its use for welfare disbursements and suggests considerable promise for early UID-enabled commercial services, in which numerous pioneering corporations (like ICICI and Visa) are investing. Across the states, Andhra, Maharashtra and Karnataka have the highest UID enrolments, with Andhra leading on total inclusion and Karnataka outperforming others on the proportion of early UID adopters who are underprivileged. According to Prof. Sundararajan: “The UID rollout seems clearly on track to fulfilling its intended goal, of bringing entirely new segments of the population into the mainstream economic system. What’s important here is that we are not simply seeing people with pre-existing portable ID adding yet another one to their repertoire. Rather, millions of Indians who had no modern form of ID now have one, and this number is growing every month.